Renowned Terrazzo pavers by Terrazzo Australian Marble are the perfect and beautiful solution to your outdoor applications. Just recently the National Portrait of Gallery Canberra commissioned Terrazzo Australian Marble to supply, fabricate and install its external paving requirement. The stunning outcome of this special project has received numerous accolades for its functional yet simple eye-catching design. It was completed with a honed finish just like any other project as its standard finish. It is hermetically pressed for durability so water and other liquids will not seep into the material. And to reaffirm there is no other external paver out in the market that is as easy to clean and maintain as terrazzo pavers. Terrazzo pavers are considered the best when it comes to the outdoor environment. It is robust. It has a lot of design flexibility. It is less costly to maintain in the long-run and it is considered safe for high foot traffic. Terrazzo pavers are the preferred materials by builders for patios, gardens, walkways and other outdoor amenities. In this article, Terrazzo Australia will share insights about this material. It will share why terrazzo pavers is the best choice per outdoor area. Terrazzo pavers are extremely elegant. It has color tones that make the environment look premium and high-end. This makes it the ideal material for swimming pools. Anyone can have a resort feel if they combine greenery, rattan furniture, and these tiles. White and grey tones work very well, promoting a minimalist feel for the pool. It is best practice to make the surface anti-slip. Since the floor will be splashed with water, the anti-slip surface helps make it safe for swimmers and passersby. Another reason why these tiles should be considered is its durability. Terrazzo pavers are not prone to cracks and erosion due to water. As long as the PH value is not acidic, it can handle any liquid. Terrazzo pavers thrive in minimalist and zen-like garden themes. The neutral tones of pavers work hand in hand with the color of wood, greeneries and dark tones. The photo above shows a classic example why terrazzo makes these types of garden stand up. You can also use plant boxes that are composed of terrazzo similar to the image below. 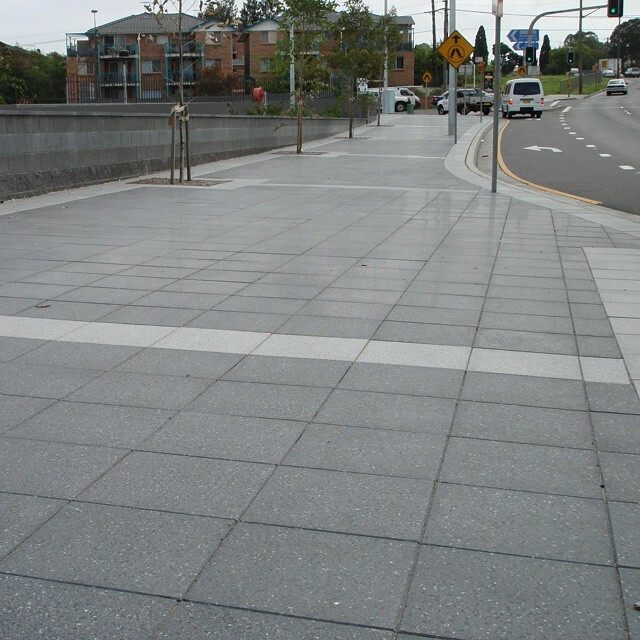 Since terrazzo pavers are built tough, it works very well for walkways. It can be used for parks, harbors, side streets, entrances to buildings and outdoor staircases. A best practice when using this material is to make it anti-slip. Walkways are prone to rains since these are outdoors. Hundreds and even thousands of people will pass by the area. Making it anti-slip ensure their safety. Terrazzo pavers work very well with greeneries. It can have a marble or concrete texture making it easy to blend with most outdoor elements. Maintenance for this material is very minimal. Terrazzo pavers offer a lot of design flexibility. This can help make outdoor environments become works of arts. A good sample of this is the photo above. The floors appear to look like a 3-dimensional stairs. The mix of grey, white and dark grey terrazzo made the illusion possible. The design flexibility of terrazzo is outstanding. A lot of commercial and government establishments use this for emblem designs. The tiles can be crafted to specific geometric shapes. The color tones help define the logos and emblems. Terrazzo pavers are indeed good materials for outdoor projects. Compared with other stones, it is built to last. If you need help about terrazzo feel free to contact us. We would be happy to be your guide in exploring the wonderful world of terrazzo. There are different pavers that you can apply for your outdoor works. These pavers are designed to be durable and robust, ideal for outdoor environment. In this article, Terrazzo Australia will discuss the different types of pavers, their pros and cons and how you can apply them for your construction projects. What Constructions Projects can Pavers be used? Before we delve in on the different types of pavers, we need to understand what are pavers and what projects can we apply them. Pavers are flat pieces of stone that are usually group together. They are used to cover a path or area. Pavers are also referred to as paving stones. These are considered a popular outdoor flooring option. Very similar with tiles, they are manufactured in factories and comes in different shapes, sizes and colors. These are installed on site. 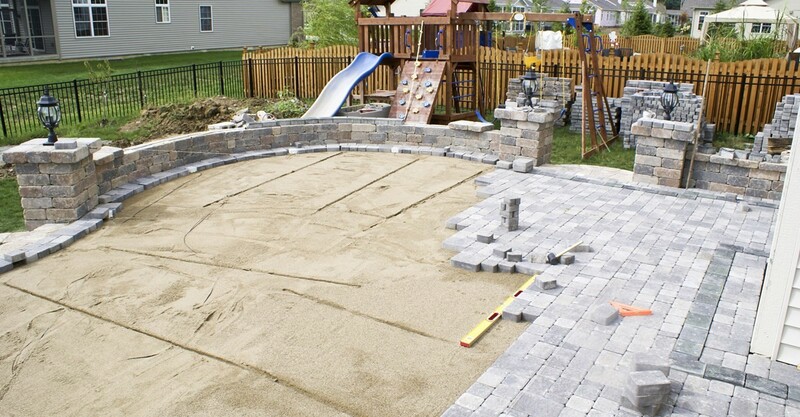 Pavers are usually installed in compact base soil and sand. Pavers do not have grout between joints, it offers a more permeable surface allowing liquid such as water to easily pass through. 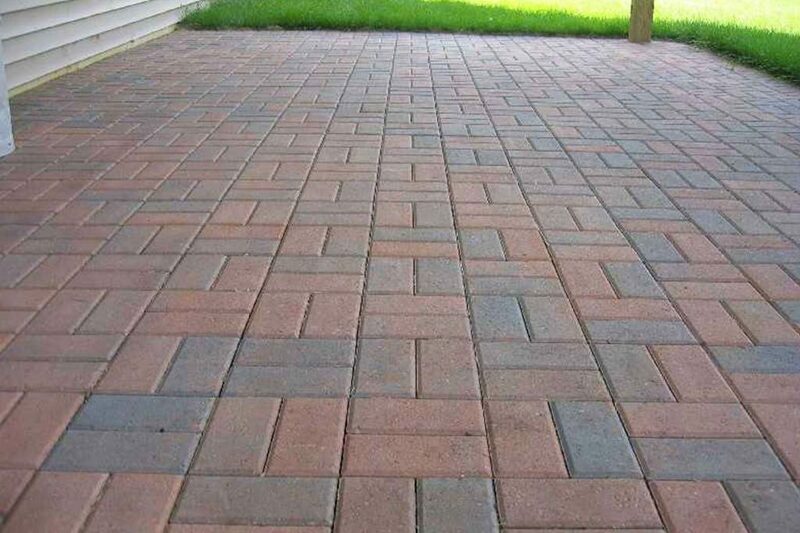 Pavers are being utilized for patios, driveways, walkways, swimming pools and gardens. Brick Paver– real bricks that are made up of clay and cured by baking inside a kiln tend to be more expensive. These material is extremely tough and durable. * Very tough and durable. * Limited colors and patterns that can be used. * If you are looking for a generic brick look and would like to make it very tough, this material will work well with your project. Concrete Pavers– the type of pavers are the most commonly used. They are made up of cement and aggregates. These are compressed and air cured to increase their strength. These type of pavers are ideal for driveways. If you are on a budget and require mass implementation of pavers, this is a good option to explore.